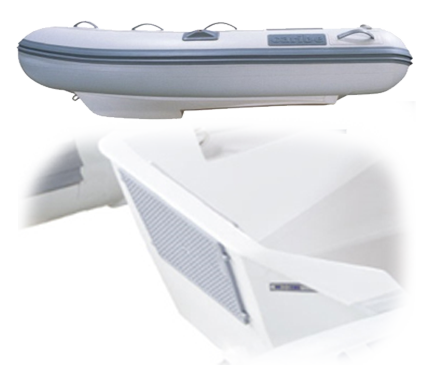 At Caribe Nautica, we have been manufacturing inflatable boats since 1983. 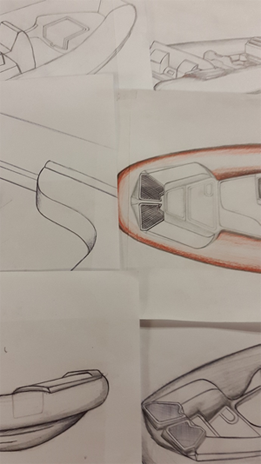 We’ve dedicated our hearts and efforts to create boats that are both high quality and user friendly. Our focus is our customer, making sure everyone has a comfortable and reliable boat to enjoy. 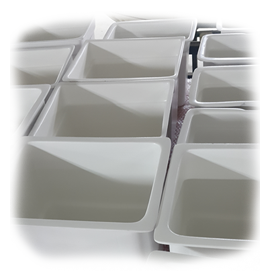 We take pride on our product and it shows in our quality. At Caribe, we only use the highest quality hypalon neoprene fabrics in every one of our models. Every new model is tested in real life conditions before they are even sent into full production. This way we can ensure our customers they have a safe, reliable and comfortable boat. We have a large variety of over 30 different models to meet every client’s needs. From a completely collapsible inflatable, to an open deck boat, or a work/utility boat, to a RIB with console and luxury features. In our website our customers can find our wide range of options available grouped by sizes so it’s easier for them to find exactly what they need in the size they need it. 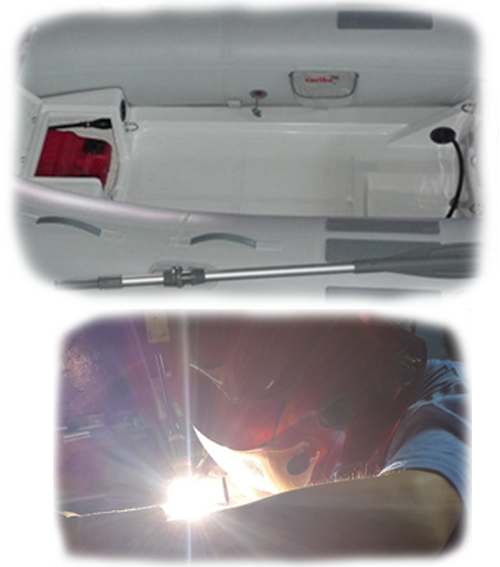 Caribe designs and manufactures every component of each boat in house. 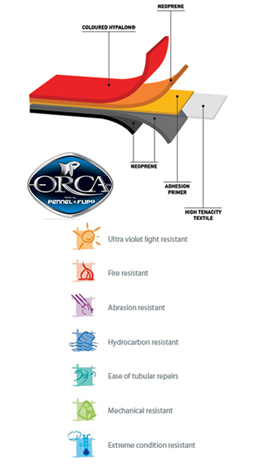 Many of the features included in our boats are unique and exclusive in the industry, such as our “C” shape transom or our modified “V” hull in the Light line. 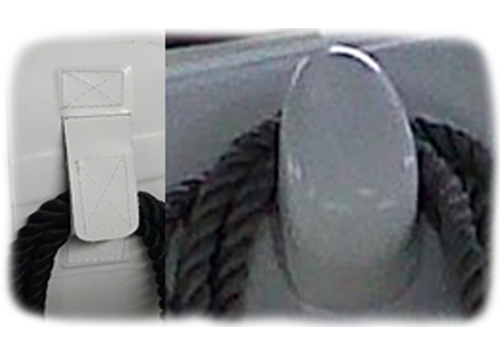 One of our most popular features is found in the Light and X line of boats, which is the hidden gas line within the hull. This feature conveniently hides the fuel line from the front tank location to the motor in the transom allowing you to supply fuel to the motor without having any aggravating fuel lines on the way on the deck. A practical rope holder in the bow of every Caribe inflatable keeps the dock rope from moving around the deck floor. A very simple yet functional solution to a very common problem. The Deluxe line of Caribe boats offer lots of features that show our focus on bringing our customers a more practical and comfortable experience with clever solutions to maximize the use of every inch of the vessel. For example, a special niche for the passenger’s feet that allows you to be comfortable when driving or riding. A convenient ice box, dry bin under seat. We literally think about the many ways to utilize every inch of every vessel as much as we can so that it is a more pleasant experience to every boat owner. Caribe put every inflatable tube set through rigorous tests to ensure the upmost quality and efficiency of all its components, giving you the peace of mind you need to enjoy your day out without any worries. 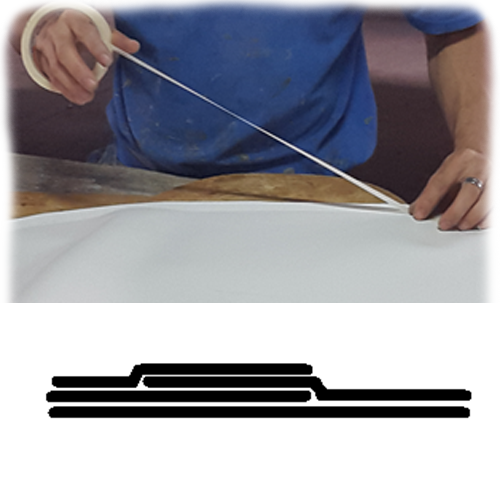 At Caribe, we’ve always tried to keep up with technological advances so we make many different parts for our boats using RTM (Resin Transfer Molding) processes that warranty better finish and quality production. All these together with our very experienced staff looking after every small detail of our boats, makes buying a Caribe a decision that simply… Makes Sense.